I was among those who, in recent weeks, became obsessed with the record. Never mind that the imprecision of measurement makes all such records a bit suspect, I would have been bitterly disappointed if the great winter of 2015 had ended as the second-most snowy winter of all time. Several weeks ago, I started a chart that I put up on my refrigerator showing how much snow had fallen, and how much still needed to fall to surpass the previous mark. I scanned the ten-day forecast daily, hoping to see storm systems with the potential to put us over the top. I told myself and anyone who would listen: one more snowy day, and then it will all be over. When the weather turned warm last week and everything started to melt, I worried that — in one final cruel twist — we’d come up a single inch short and, like the Seattle Seahawks, have to live with the knowledge that we were THIS close to the goal and didn’t make it. As I pondered what it all meant, I began to wonder what it is about records and record-breaking that so reliably engages our interest. As a fan of Track and Field, I know that every season brings scads of new records, some of them in events so obscure that for all I know they’ve never been run before (500 meters?). With male, female, indoor, outdoor, open, age-group, high school, collegiate, national, meet, championship, facility, area, etc. as record categories, and the all the standard and non-standard events and distances, there are thousands of records out there for breaking. At every meet, it seems, someone breaks a record. The other day, my friend Pete Chametzky wrote to tell me that a team from Amherst Regional High School, our alma mater, had set a New England record for the 4×800. 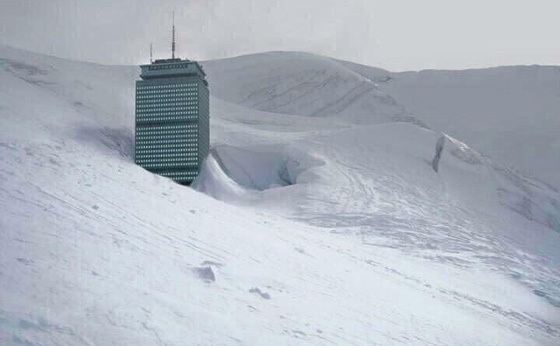 In fact, I think they did it on the same day that “we” (I mean Boston’s climate) came through with the new snow record. And that was a day after NCAA’s, which produced a new AJR in the women’s 3000m, and about a dozen collegiate and championship meet records. It felt like the records were falling like snowflakes. And this raises the question: if there are so many records set that we can’t keep track of them anymore, why are they still such a big deal? Maybe it’s because records are a way for us to reassure ourselves that a performance has some lasting significance, and by association WE have some lasting significance that last longer than a season. Normally, the significance of any athletic performance is fleeting. As soon as a race is won or lost, the next one is on the horizon and a new challenge looms. The numbers last, though, and those numbers allow us to somehow say that this or that effort meant something more than a few points in a meet. The numbers give a kind of permanence to the efforts of the athletes, and a record to promise an enduring place in history. Of course, records are surpassed. But when they are set, they seem to reassure us that what’s happening now, in the moment, is important. And we don’t need to look to elites as a source for records. What is sweeter than a PR? Each of us authors a personal record book and the marks within it are more precious than any material possession. Our thirst for significance through records is so keen that when we grow old, and find ourselves incapable of setting new PRs, we again turn to mental martial arts and begin tracking our “personal worsts,” or PWs. It’s a poignant tribute to our motivation and striving for significance in the face of inevitable decline that we wryly announce our PWs. As long as we are setting records at something, it seems, we’ll find the will to keep going. This entry was posted in Records & Statistics, Weather and Seasons and tagged personal bests, snowfall record. Bookmark the permalink.